There is certainly a new awareness in our communities about caregivers. Recently there was an advertisement on the internet promoting greeting cards to send to caregivers and the front of one card read: “Caregivers are often the casualties, the hidden victims. No one sees the sacrifices they make.” Much like other social issues that have come to light over the last few decades, caregiving of older adults is reaching a higher level of prominence, especially with the growing statistics of boomers needing care. The two words that stood out in the message on the card were “casualties” and “victims” – perhaps because they make caregiving sound like a war zone. Is that what caring for our elderly parents or spouses has become? Many family caregivers did not choose the caregiving responsibility for aging parents or a spouse and not everyone will understand their journey. 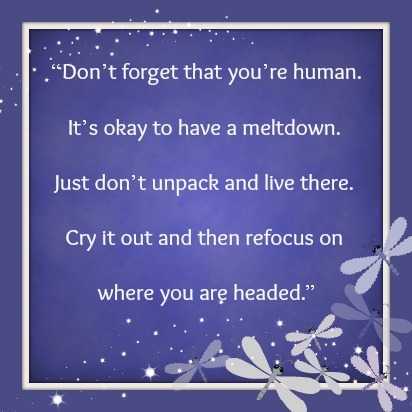 It may be easier to “unpack” their sorrows and stay in the midst of it rather than to be reminded that there is life aside from caregiving and still have dreams and a story to tell. So allow family and friends help. If they offer, take them up on it - there is no shame in asking for help. In 2001 it took an act of the U.S. Congress to reauthorize the No Child Left Behind Act to insure that every child had access to better schools, free tutoring and other supplemental education services to struggling students. Perhaps it’s time to act and promote the idea that no senior is left behind in terms of healthcare and access to a well trained and well rested caregiver! Caregivers should NOT be the hidden victims; instead they should be recognized and justly compensated for their work. mmLearn.org was created specifically to help train and support caregivers of older adults. We have over 300 FREE online videos with topics ranging from caring for someone with dementia to videos on spirituality and meditation. Take a look and let us know how we can help you in caring for your loved ones.